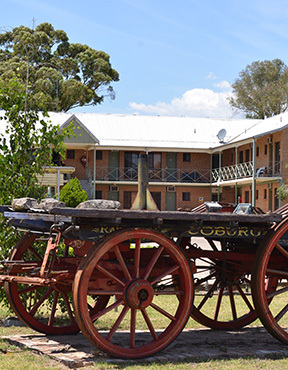 The Campbelltown Motor Inn is quietly veiled behind a beautifully crafted two-storey sandstone building, offering our guest the peaceful comforts of the countryside with the conveniences of a roadside motel. 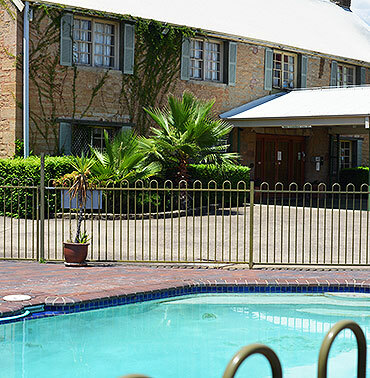 The gardens and surround provide our guests with a truly pleasant atmosphere while also offering the convenience of being just a short walk to Campbelltown city shops, rail links, and public transport. We are perfectly situated for travelers coming to or from Sydney who want the convenient metropolitan access without the hubbub of the city centre. Guests visiting Sydney during the day can leave their car parked securely on our complex and catch public transport, which is just a short walk away. 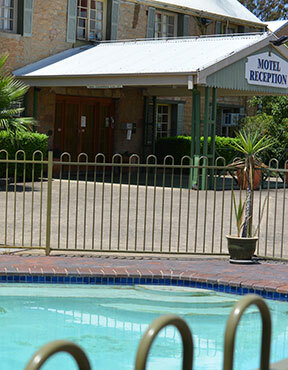 Our rooms are spacious, comfortable, and affordable. Our philosophy is simple – our guests should be able to enjoy their stay in comfort, with easy access to all the city’s amenities, for a reasonable price. We are located less than an hour’s drive away from Sydney, Wollongong, Bowral and the Southern Highlands, and are just five minutes from Hume Hwy and the M7 motor way. Our rooms are equipped with a flat screen television, reverse cycle air-conditioning, tea/coffee facilities and a toaster. 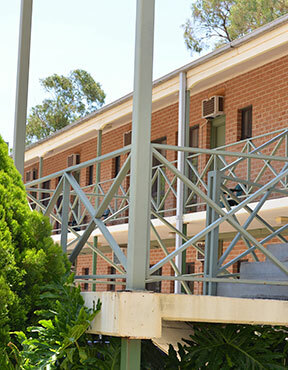 Free on-site parking with ample space for large vehicles – including trucks and coaches. 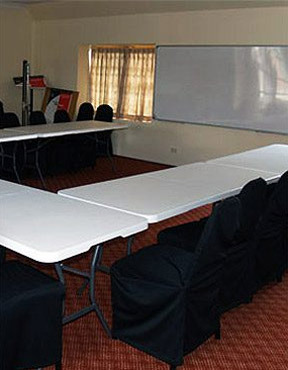 The Campbelltown Colonial Motel is perfectly positioned for a stopover on your way to Melbourne, Sydney or Canberra near the beautiful town of Bowral.